Talk With Yah-Tay: Still Going HARD!!! 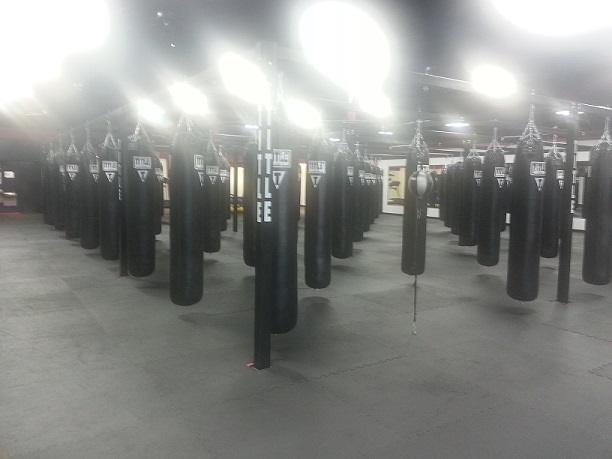 7 months have passed since I join Title Boxing Johns Creek… And boy has this been a journey! It’s been one of willpower, determination and self-discipline. Boxing is truly a sport for the “Courageous One”. It’s a sport that is very demanding both physically and mentally…. I’ve played a number of sports over the course of my life, but this one has by far been the most challenging for me. In so many ways, it has also been parallel to my life within the last few years as a whole. Stepping into the “ring of unknown territories”, and then having to go rounds with each one requiring all that you have to give and more. The sport of boxing demands that you be quick on your feet, quick with your hands and mentally sharp as these are a few “essential” elements needed in the sport. It’s also a little more intense and it takes a lot of conditioning, physically, mentally and even spiritually to develop and sharpen your boxing skills. Boxing is unique in that it takes place year round; it doesn’t discriminate against age and many often champion the underdog. But, like any individual sport, you are personally responsible for the outcome, so the results you achieve are a direct reflection of what you put into it and so it is with life. I’ve been one on one with many heavy bags of life... In facing every challenge imaginable (it seems) over the years. But, the obstacle course or maze per say has caused me to dig deeper and rely on my personal relationship with GOD to get me through. 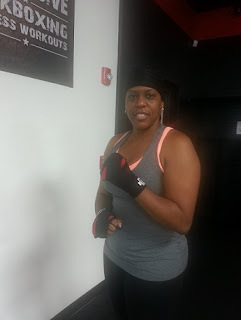 I liken hitting the heavy bag to facing the weight of difficult situations and pounding away at them… You in essence are “Fighting for Yourself”. But it takes stamina and strength both mental and physical to take a blow when getting hit (life hits you) or to throw multiple punches with the quickness of hands and feet movement. 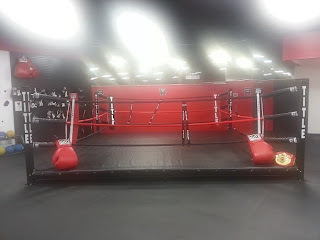 Boxing has reiterated the importance of having "Faith"; reinforced the significance of training and development (still in training... LOL) as well as strengthened the principles of guiding one’s life with courage. So, when life throw combination punches at you, one has valuable self-defense techniques that prepare you for the challenges ahead. Boxing for all practical purposes is about technique and discipline… But for me, it has been about endurance and spiritual growth. This has truly been a journey of increasing my physical readiness for the next level of living and enhancing my personal relationship with GOD. Fight the good fight Miss Yah-Tay. And keep your hands up! In boxing for protection, in Gods presence for full surrender! Good job & Be blessed! Thanks for your words of wisdom and blessings, they are heartfelt... I Can, I Will and I Must "Fight the Good Fight of Faith" as it's all for the "Greater Good and God's Divine Plan and Purpose" for My Life. Willing You, Your Family and Your Ministry CONTINUED "Peace, Great Health and Prosperity" always!! Yah-Tay boom by yeaa, Stay in the game of life swinging and stand TALL when life's storm come banging ! Right now it's God's time, ask Him to let you know when it's your TIME ! Yah-Tay, This is Matt from Title. I absolutely love your blog. So true, you are working hard, and we all see the results that have come from it. I love the acronym for HARD, might have to steal that one lol.